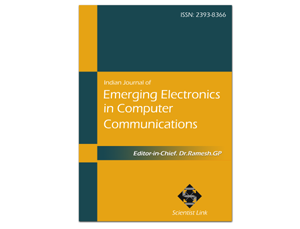 Citation: Geno Bennet Singh, Mounish Kishan, T.Shantha Kumar, Dr.D.C.Joy Winnie Wise (2014).Implementation of Common Caching In a Standalone Cloud Based System .Indian Journal of Emerging Electronics in Computer Communications,Vol.1,Issue.1,pp.116-122. This paper introduces Cloud computing can and does mean different things to different people. The common characteristics most share are on demand scalability of highly available and reliable pooled computing resources, secure access to metered services from nearly anywhere, and dislocation of data from inside to outside the organization. While aspects of these characteristics have been realized to a certain extent, cloud computing remains a work in progress. This project deals with the security and privacy challenges pertinent to public cloud computing and reduces the network traffic problem while many persons accessing the same file. And also points out considerations organizations should take when outsourcing data, applications, and infrastructure to a public cloud environment. Keywords:Dislocation of data, Virtual cache, SWNET. RECENT emergence of data enabled mobile devices and wireless-enabled data applications have fostered new content dissemination models in today’s mobile Ecosystem. A list of such devices includes Apple’s iPhone, Google’s Android, Amazon’s Kindle, and electronic book readers from other vendors. The array of data applications includes electronic book and magazine readers and mobile phone Apps. The level of proliferation of mobile applications is indicated by the example fact that as of October 2010, Apple’s App Store offered over 100,000 apps that are downloadable by the smart phone users. With the conventional download model, a user down- loads contents directly from a Content Provider’s (CP) server over a Communication Service Provider’s (CSP) network. Downloading content through CSP’s network involves a cost which must be paid either by end users or by the content provider. In this work, we adopt Amazon Kindle electronic book delivery business model in which the CP (Amazon), pays to Sprint, the CSP, for the cost of network usage due to downloaded e-books by Kindle users. When users carrying mobile devices physically gather in settings such as University campus, work place, Mall, Airport and other public places, Social Wireless Networks (SWNETs) can be formed using ad hoc wireless connections between the devices. With the existence of such SWNETs, an alternative approach to content access by a device would be to first search the local SWNET for the requested content before downloading it from the CP’s server. The expected content provisioning cost of such an approach can be significantly lower since the download cost to the CSP would be avoided when the content is found within the local SWNET. This mechanism is termed as cooperative caching. In order to encourage the End-Consumers (EC) to cache previously downloaded content and to share it with other end-consumers, a peer-to-peer rebate mechanism is pro- posed. This mechanism can serve as an incentive so that the end-consumers are enticed to participate in cooperative content caching in spite of the storage and energy costs. In order for cooperative caching to provide cost benefits, this peer-to-peer rebate must be dimensioned to be smaller than the content download cost paid to the CSP. M. Zhao, L. Mason, and W. Wang, “Empirical Study on Human Mobility for Mobile Wireless Networks,” Proc. IEEE Military Comm. Conf. (MILCOM), 2008. “Cambridge Trace File, Human Interaction Study,” http:// www.crawdad.org/download/cambridge/haggle/Exp6.tar.gz, 2012. E. Cohen, B. Krishnamurthy, and J. Rexford, “Evaluating Server- Assisted Cache Replacement in the Web,” Proc. Sixth Ann. European Symp. Algorithms, pp. 307-319, 1998. S. Banerjee and S. Karforma, “A Prototype Design for DRM Based Credit Card Transaction in E-Commerce,” Ubiquity, vol. 2008, 2008. L. Breslau, P. Cao, L. Fan, and S. Shenker, “Web Caching and Zipf- Like Distributions: Evidence and Implications,” Proc. IEEE INFOCOM, 1999. C. Perkins and E. Royer, “Ad-Hoc On-Demand Distance Vector Routing,” Proc. IEEE Second Workshop Mobile Systems and Applica- tions, 1999. S. Podlipnig and L. Boszormenyi, “A Survey of Web Cache Replacement Strategies,” ACM Computing Surveys, vol. 35, pp. 374- 398, 2003. A. Chaintreau, P. Hui, J. Crowcroft, C. Diot, R. Gass, and J. Scott, “Impact of Human Mobility on Opportunistic Forwarding Algorithms,” IEEE Trans. Mobile Computing, vol. 6, no. 6, pp. 606-620, June 2007. “BU-Web-Client - Six Months of Web Client Traces,” http:// www.cs.bu.edu/techreports/1999-011-usertrace-98.gz, 2012. A. Wolman, M. Voelker, A. Karlin, and H. Levy, “On the Scale and Performance of Cooperative Web Caching,” Proc. 17th ACM Symp. Operating Systems Principles, pp. 16-31, 1999. S. Dykes and K. Robbins, “A Viability Analysis of Cooperative Proxy Caching,” Proc. IEEE INFOCOM, 2001. M. Korupolu and M. Dahlin, “Coordinated Placement and Replacement for Large-Scale Distributed Caches,” IEEE Trans. Knowledge and Data Eng., vol. 14, no. 6, pp. 1317-1329, Nov. 2002. L. Yin and G. Cao, “Supporting Cooperative Caching in Ad Hoc Networks,” IEEE Trans. Mobile Computing, vol. 5, no. 1, pp. 77-89, Jan. 2006. Y. Du, S. Gupta, and G. Varsamopoulos, “Improving On-Demand Data Access Efficiency in MANETs with Cooperative Caching,” Ad Hoc Networks, vol. 7, pp. 579-598, May 2009. C. Chow, H. Leong, and A. Chan, “GroCoca: Group-Based Peer- to-Peer Cooperative Caching in Mobile Environment,” IEEE J. Selected Areas in Comm., vol. 25, no. 1, pp. 179-191, Jan. 2007.